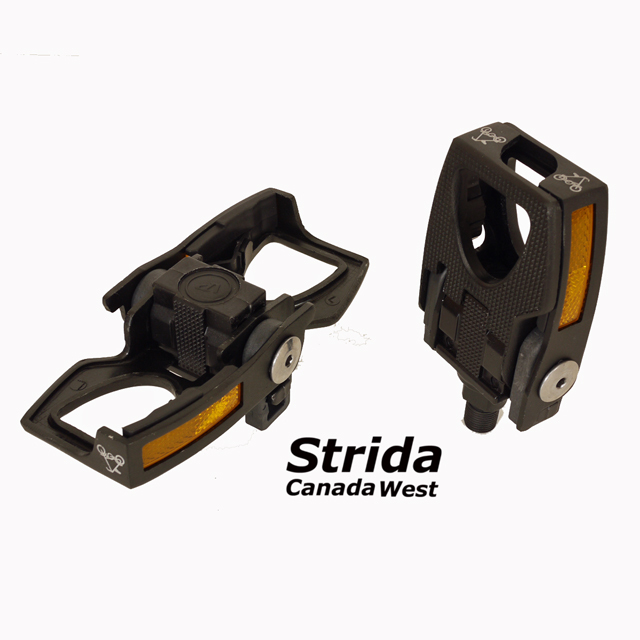 The Strida Shoulder Bag is designed to make carrying the Strida bike easier on your shoulder. 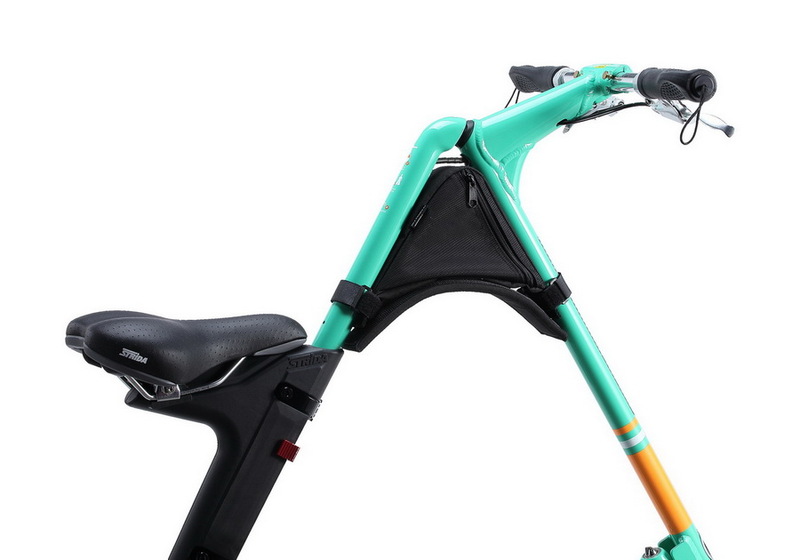 The shoulder bag is constructed with a nylon material. 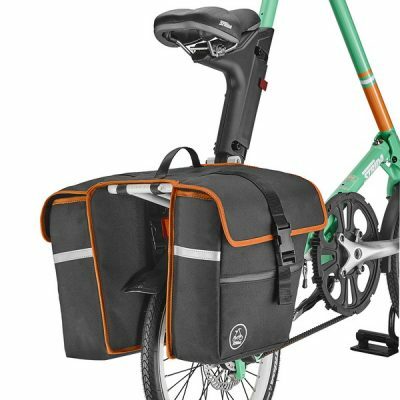 This shoulder bag has one zippered compartment. 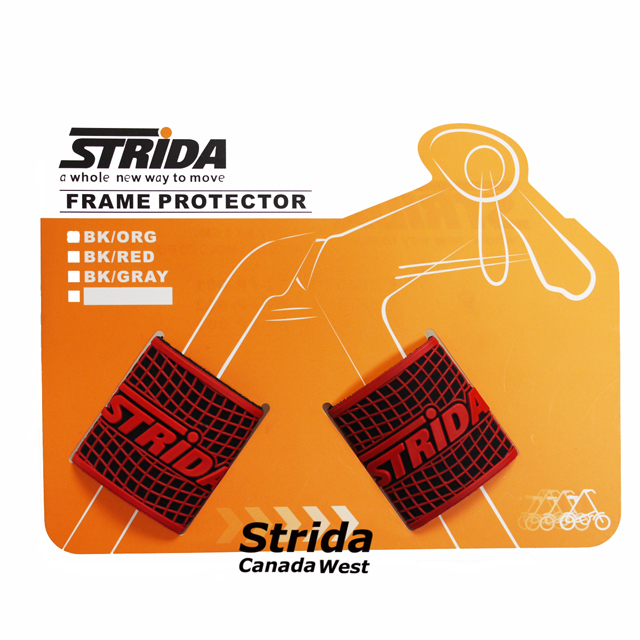 Inside the bag are two curved plastic parts that fit the bag to the Strida frame tubes. 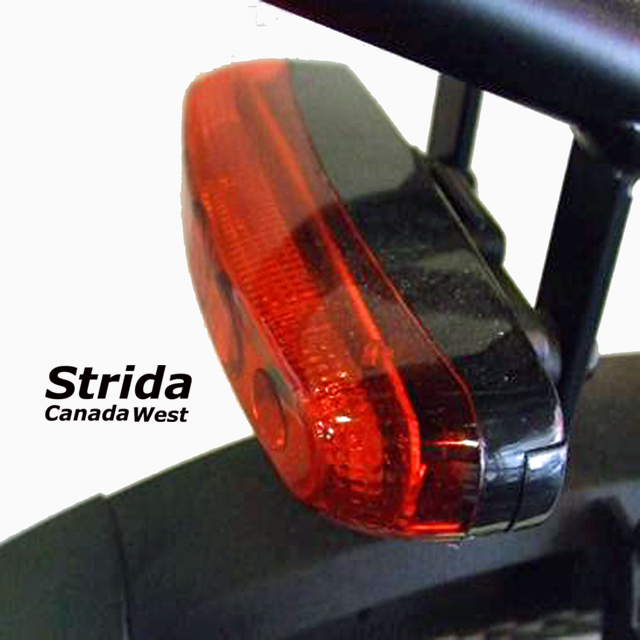 The shoulder bag is fastened to the Strida bike with two Velcro straps. This shoulder bag is padded to protect your shoulder. 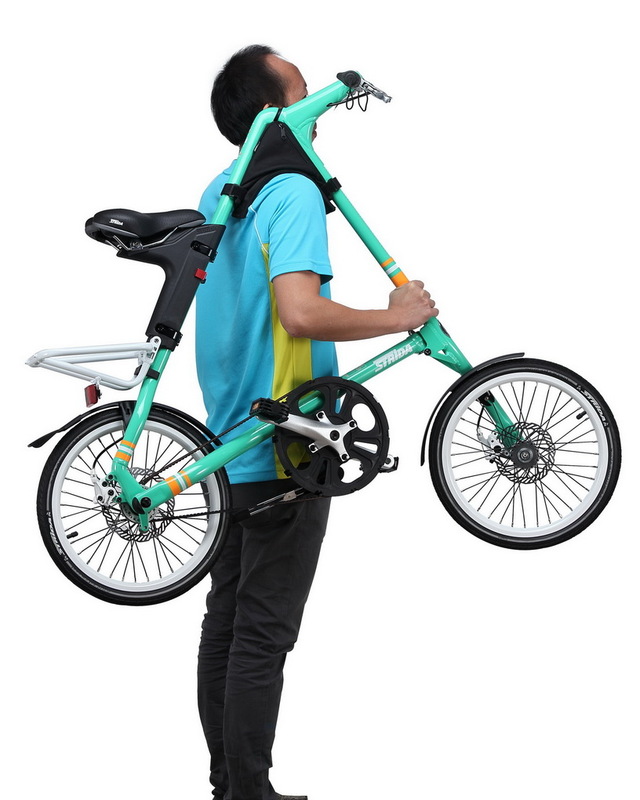 Please note the Strida bike can not be folded without removing the shoulder Bag. 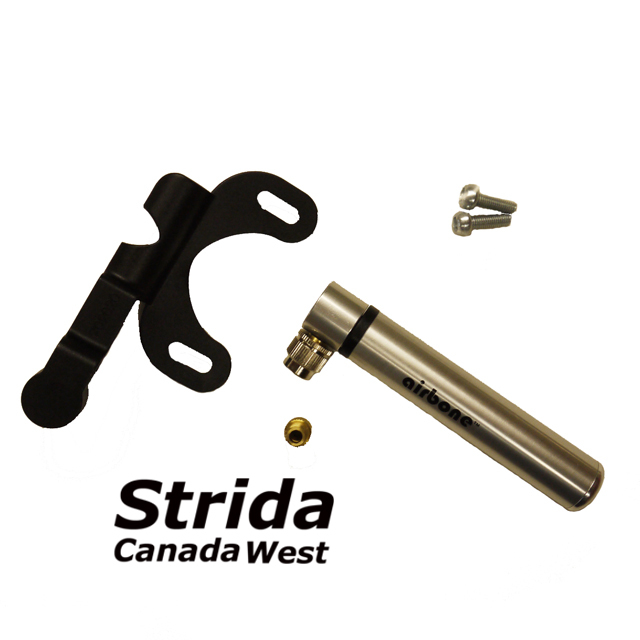 It is also important to note, if you position the Strida seat mount in the high position the shoulder bag will not attached to the Strida without using a longer than provided strap.